Prompt: Recreate a storybook in a different location or culture. I was always fascinated with Maurice Sendak's Where the Wild Things Are. I decided to place it in feudal Japan, making Max a Kitusne, a fox-like trickster spirit. 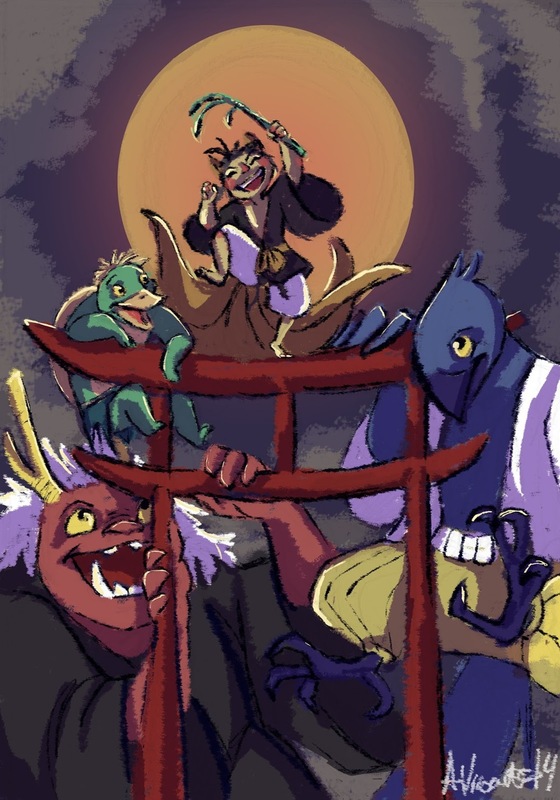 I made the others a Kappa, an Oni, and a Tengu.